It's never too early to start thinking about Christmas gifts right? Have many of you already started your holiday shopping? We have here and I'm continuing to pick up some little things here and there...for the dolls too of course! One thing I noticed the other day was that we don't have very many winter coats for the dolls. Oh no! How did that ever happen? :) I was looking through the DreamWorld Collections site and found several different colder weather options in addition to their fall apparel. Here were some favorites. I love, love, love the pink booties with this set...the coat is super cute too. I can totally see Zoey's doll Claire wearing this and looking so adorable in it! I like that the vest set below comes with leggings. A girl can never have too many leggings right? And pink ones at that! The fleece set below looks super cozy and would be certain to keep your doll warm and cozy this winter. And for those of you that have dolls that are into keeping up with fashion...perhaps this set would fit the bill? 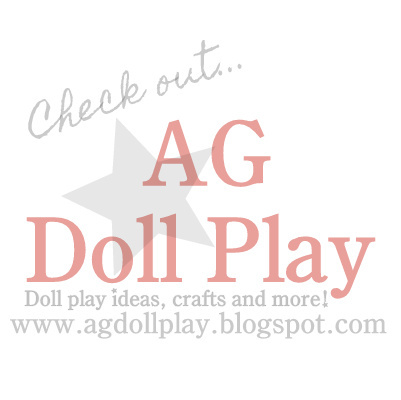 Are your dolls all set for the upcoming cooler months that are ahead? Ours aren't!! We're going to need to do something about that I think! Just got Two faux leopard print coats. So pretty one for New Bitty Baby and one of of oyr five 18 inch Doll's. Also we got Rebecca's black coat from American Girl. It is do pretty. It makes us want to add her to our collection. Love your blog. I am 46 and love playing with all my 3 year olds American Girl Doll's And Bitty Babys's. 2nd chance at life. Kids 29, 27, 25 and 3. I have Stepdaughter 19. Thanks so much for sharing Maxine! We have Rebecca but we don't have her winter coat so thanks for sharing that you love it. We might have to add that to the Christmas list!